Dean and Lois Klein and Eric and Chassidy Klein of Klein’s Cow Palace in Lake City, MN received the 2016 Form-A-Feed Outstanding Dairyman of the Year Award at the Form-A-Feed Professional Dairy Conference at Jackpot Junction in Morton, MN on January 19th, 2017. 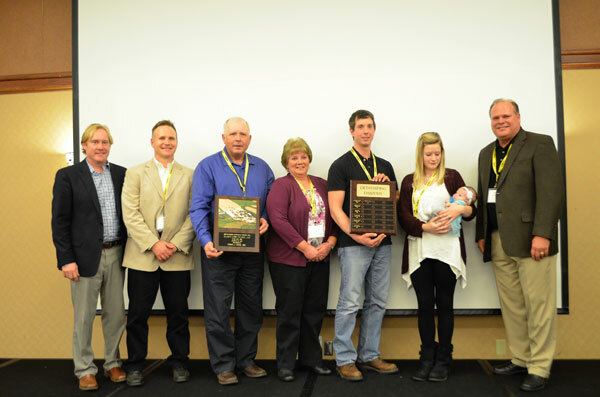 This is the 7th year Form-A-Feed has awarded an Outstanding Dairyman of the Year Award at their annual Dairy Conference. To qualify for this award, a Form-A-Feed representative must nominate a recipient for their commitment and involvement in the dairy industry, community and country. The Klein family, currently milking 450 Holstein cows and growing, are well-deserving of this award. The Klein’s have a long history of participating in local organizations and their community. When their children were young, Lois and Dean were active as 4-H leaders and Dean served on the school board at the local parochial school their children attended. Lois served on the Executive Council for 4-H and the Wabasha County Extension Committee. 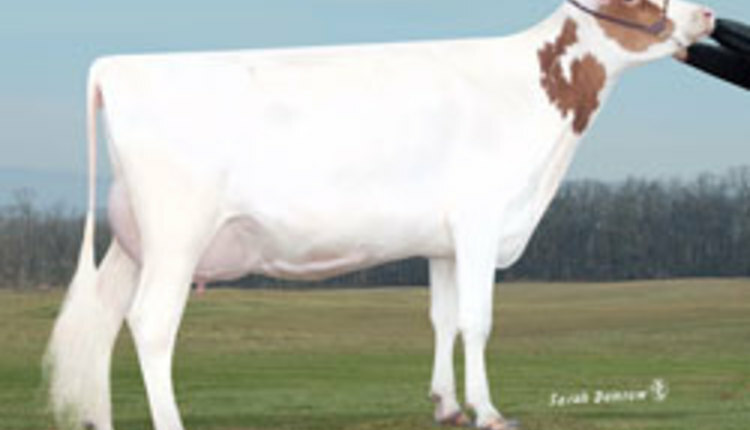 They are members of Plainview Milk Product Cooperative, where Dean has sat on the board of directors. The Klein’s are also Minnesota Milk members and have received recognition for the 5 Stay Dairy Award from Minnesota Milk for environmental stewardship. In 2015, Klein’s Cow Palace hosted the very first Family Night on the Farm. The Klein family also open their farm regularly for dairy tours, including a program called Dairy Day Camp. Dairy Day camp is organized by the Minnesota Farmers Union and is an opportunity for 50 plus children to visit a real working farm and learn about agriculture.